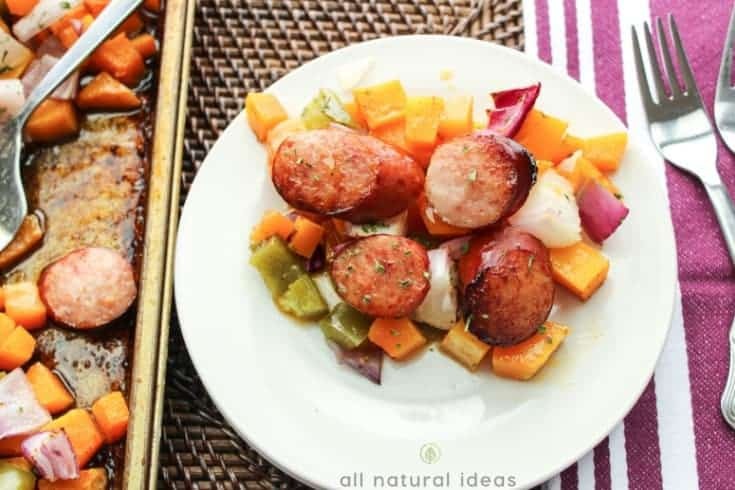 Add the taste of fall to your table with this Roasted Butternut Squash and Sausage! This recipe will be a refreshing change from your usual fall dishes. Sheet pan meals are a great addition to any weekly menu. 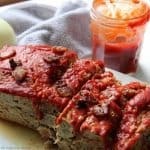 And they are as easy to make as a simple paleo meatloaf. 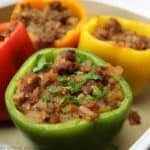 Plus these simple baked meals are a great way to cook your meat and veggies together without having to stand at the stove. That’s because once everything is mixed together, you simply spread it out on a baking pan then bake until done. 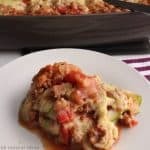 One of our favorites is a low carb one pan chicken and veggies bake. Now that the fall season is upon us and the winter squash is plentiful, we came up with a roasted mashed butternut squash with sausage. And it’s perfect for all your fall meals! You can also get creative with how it’s served. Nothing like a recipe with so many options that you can add to your repertoire! Just give it a try and it’s sure to become a regular at the dinner table. It may take some time to bake this dish, but it’s worth the wait! It’s a meal that’s especially great for families who need more time to get things done. While this is cooking in your oven, you can attend to other tasks while waiting. Nutty and sweet butternut squash aids in weight loss and is packed with antioxidants. Plus it adds a wonderful orange color that’s appealing to the eyes and is a perfect for fall. Rich ghee adds to the nuttiness of the butternut squash. And the peppery sausage compliments the sweetness very well. To get things started, the oven is preheat 375°F. Then, ghee is melted in a large bowl. Next, cayenne and sea salt are stirred into the melted ghee. The squash is then added in and tossed until coated. The mixture is spread out on a large baking pan. Then layer red onion, bell peppers and sausage are layered on top. Finally, the baking pan is placed in the oven and the butternut squash and sausage mixture is baked for 45 minutes to 1 hour. It’s done when the squash is tender and sausage is cooked. 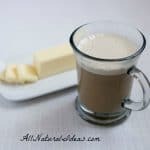 Want to change up the recipe? There are many options that you can try. Why not throw in some sliced apples and sage for a flavor boost. It gives even more fall flavor. To stretch out the dish, pasta like penne or lasagna can be added for a different kind of Italian night! Or, serve it over zoodles for a low carb friendly alternative to the pasta! 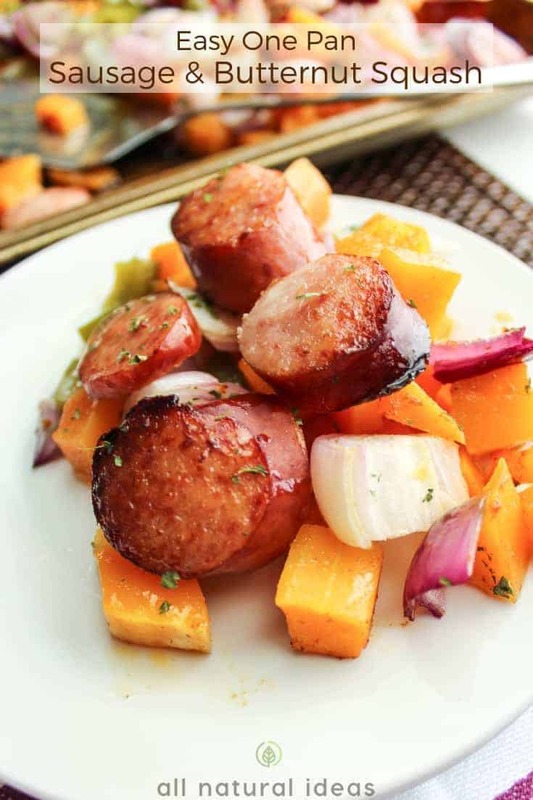 Another idea is to add roasted garlic, smoked Gouda cheese and bacon to this recipe. For presentation, you can stuff the butternut squash halves with the finished dish. If you don’t have sausages or are not much of a fan, you can swap it with chicken and add kale. 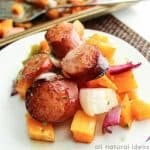 You can also swap the sausages for Brussels Sprouts and add in cranberries, and apples. This makes a very colorful and flavor-packed dish! Or trade in the sausage with scallops and Brussels Sprouts. Delicious! Make sure to check that the sausages have been cooked thoroughly. You can slice across the sausages to create slits so that the heat can easily permeate through the meat. 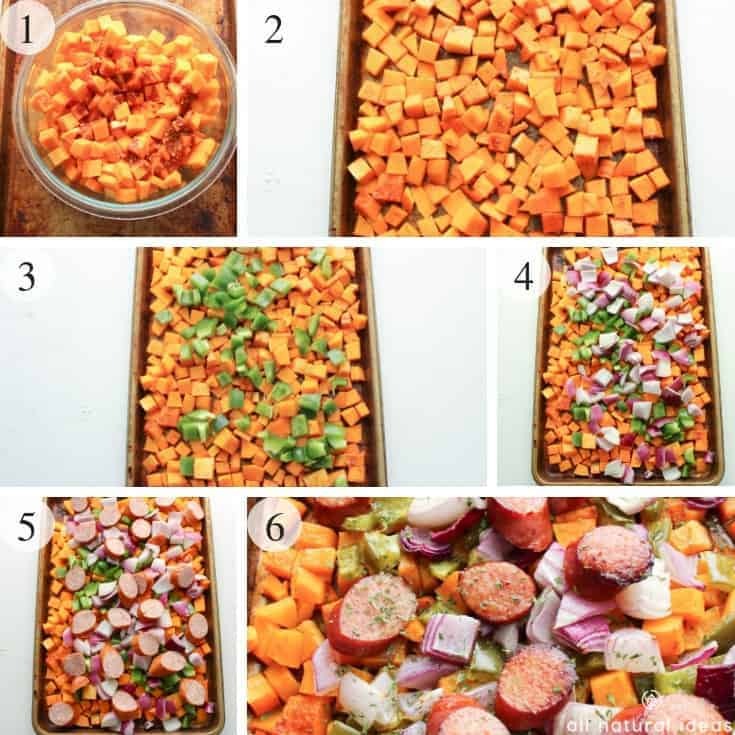 Add the taste of fall to your table with this squash and sausage sheet pan meal! This recipe will be a refreshing change from your usual fall dishes. Melt ghee in a large bowl and stir in cayenne and sea salt. Add to squash in a large bowl, toss until coated. 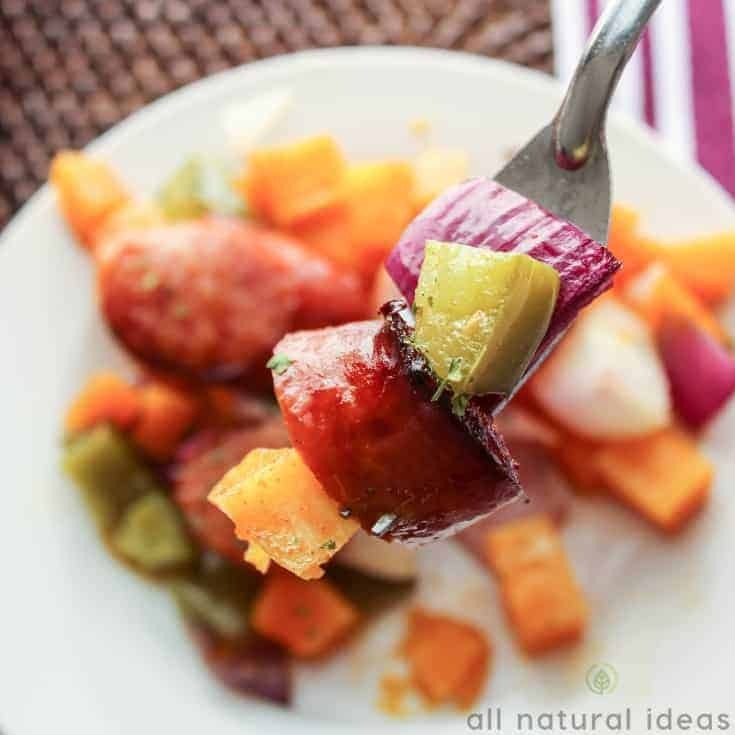 On a large baking sheet layer squash, red onion, bell peppers and sausage. Bake 45 minutes to 1 hour, until squash is tender and sausage is cooked. throw in some sliced apples and sage for a flavor boost. 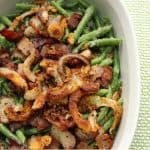 add roasted garlic, smoked Gouda cheese and bacon to this recipe. swap the squash with chicken and add kale. or swap the sausages for Brussels sprouts and add in cranberries, and apples. 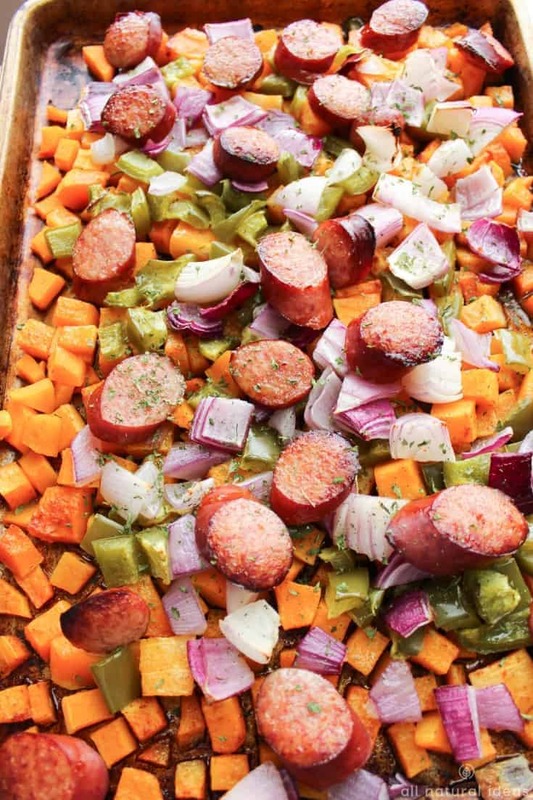 I LOVE a good sheet pan supper and this one has everything I enjoy! 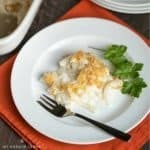 Thanks for sharing this delicious recipe!! Sheet pan meals are one of my favorite ways to get dinner on the table. I love how all the flavors mingle into something wonderful! We used the Organic Smoked Sausage made by Pederson’s Organic Farms.